This Pine Buffet is 100% natural from the tree Pine! the only plywood is in the beadboard in the doors. It is 50 inches long 34 inches high and 18 inches front to back. 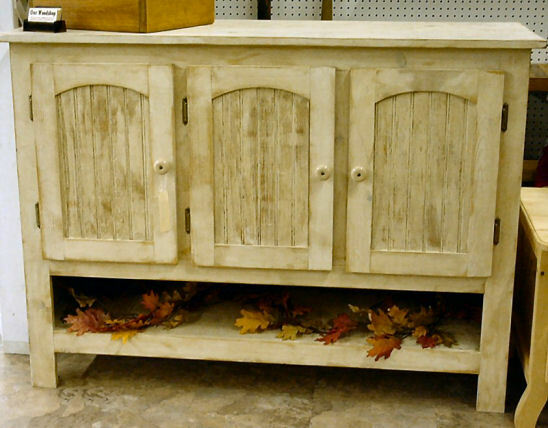 You can have your buffet with space on the bottom, drawers on the top or full length doors, or use your imagination. We'll custom make it just for you.